This collection lives up to its title. Not only are there peversities encountered and explored, they are done so through the medium of verse. The collection, though slim, covers a goodly amount of ground, and the range of darknesses displayed therein should reward many palates. If there is any common form, it is this. Where an initial situation is created, such as the street kids eagerly entering the eponymous zoo of "The Petting Zoo", its potential for darkness is explored, Then, after the darkness has been skilfully built up, the final part of the poem produces a deepening, or a shift, in focus, leading to a deeper horror and a more satisfying frisson. And the overall effect is simply stunning. Where possible, the poems create in us an unease, a sense of the peversities that underly the seeming innocuous aspects of our human existance. Whether it be parades, in "Small Town Parade", or cruise ship holidays, in "Carnal Cruise Line", these twenty poems combine to create a volume which belies its slimness with the surety of its visions. Technically, the poems are almost all uniformly excellent. There is hardly a dud line, or false image, and the use of imagery is unobtrusive and integral to any given work. There is the occasional disappointment, such as "Second Sight", but the scarcity of these, plus the excellence of the rest of the poems, is enough to make this a volume of overall excellence. My favourite piece is "Honeymoon Lodge". It plays with an almost Lovecraftian imagery, and its exploration of the motor lodge, as the locus for an otherworldly, and barely comprehensible darkness is a sheer delight. Poems like this justify the volume alone, and this should be required reading for anyone who likes their poetry dark and unnerving. This is Kurt Newton at the height of his creativity. 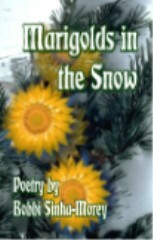 The poems read with a facility and sureness of touch that speak volumes for his inherent ability as a poet. As he continues to write, there is a firm future for those who love speculative poetry. And anyone seeking to start a collection of such verse should include this volume, at the very least.